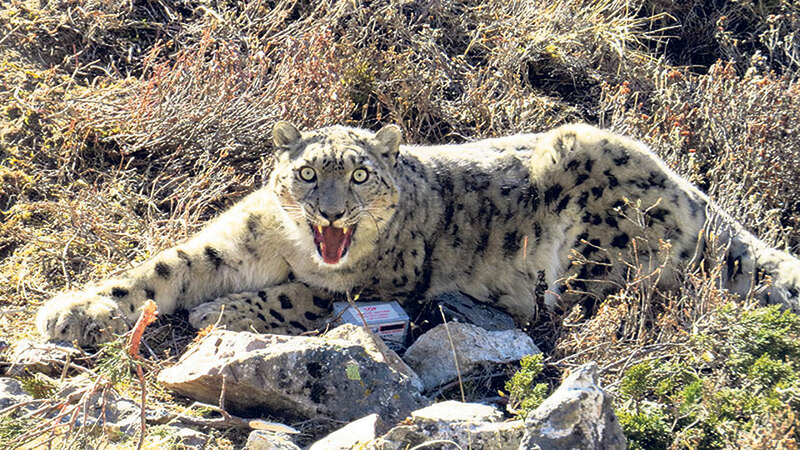 A team of 33 people that includes members of WWF, Shey-Phoksundo National Park and snow leopard conservation committee has been deployed for the work. According to the chief conservation officer of the national park, Ram Dev Chaudhari, the team has already left for the count from Suligad area. “There are 33 people in the team and they have already left for the count. We hope they will finish the work on time,” he said. “They are well-equipped and everything is going to be fine,” he added. The team which has left with sufficient number of camera traps and necessary technology and skills are expected to get back in a month. According to Chaudhari, while doing the counting of the big cats, the team might also count the number of blue sheep. “When they count the leopards, they can count blue sheep as well. Snow leopards prey on blue sheep,” he said. Of late, snow leopards, which basically depend on blue sheep for food are in trouble as the blue sheep population is dwindling in the mountains. “The technical team has reported us that things are going pretty well. They have already fixed cameras at a few places. Some are yet to be fixed,” he said. Once the census is over, the findings will be unveiled amid a function in Kathmandu. Shey Phoksundo is considered a good habitat for snow leopards. 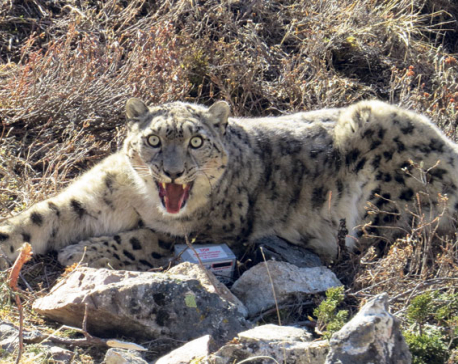 “Actually, Shey Phoksundo is considered the best zone for snow leopards. A large number of snow leopards are there within a small area of the national park. We will be able to tell more after this census,” Chaudhari said. The last census of snow leopards was held four years ago. The report said there were 130 snow leopards. 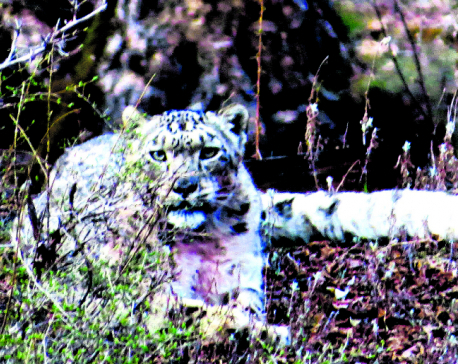 Apart from snow leopards, there are other rare species in Shey Phoksundo. It is home to 32 types of mammals, 200 species of birds, 28 species of butterflies and many reptiles.